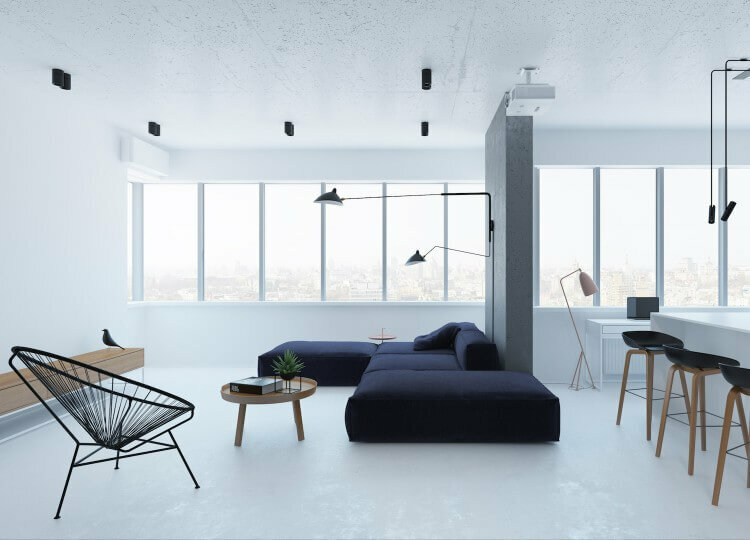 Young gun Ukrainian-based architects Evgeniy Bulatnikov and Emil Dervish have the minimalist approach down to a T, and their latest residential project – a 106 m2 apartment– is a case in point. 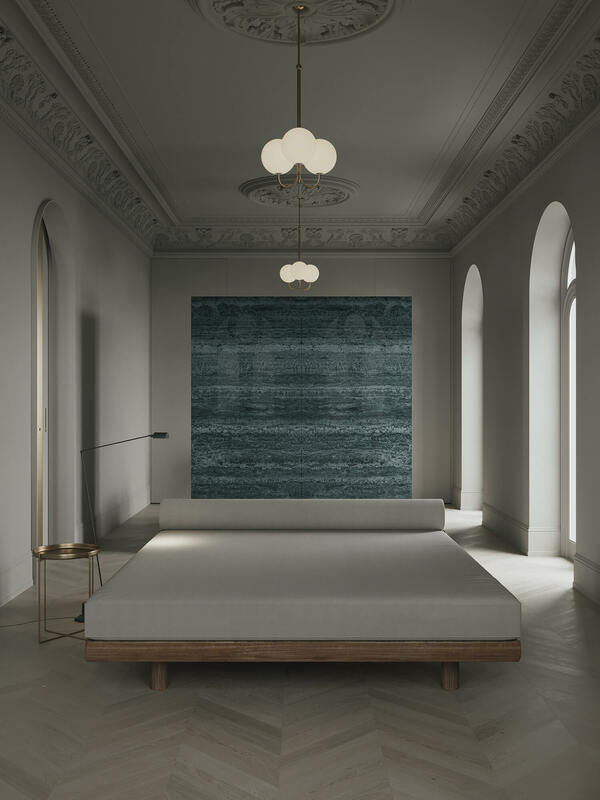 Bulatnikov and Dervish have envisioned a space that worships a restricted palette of neutral tones. Hence the befitting title of the ‘Beige Apartment’, although we think you’ll agree that this contemporary apartment is anything but. The space unfolds to reveal an elegantly lavish interior, designed all in earthy hues that simultaneously calm the senses while highlighting the original detail of the interior architecture. 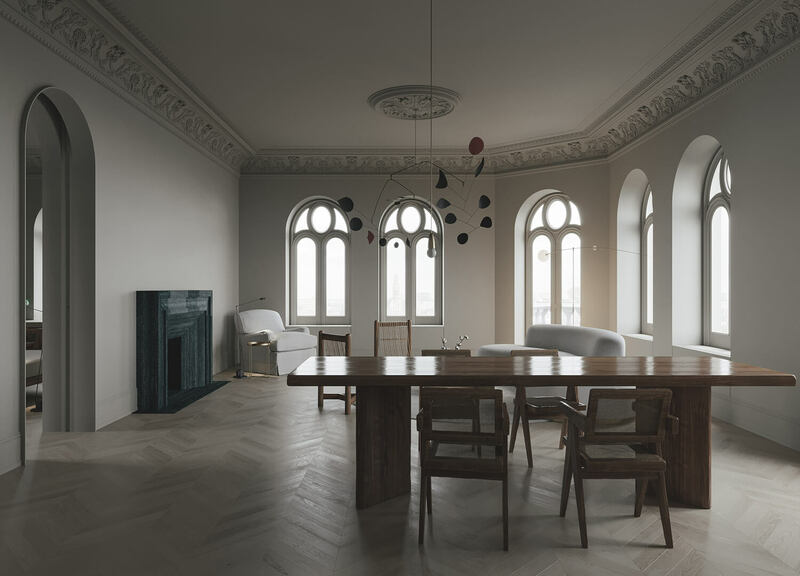 It’s a considerate pairing, where an updated modern aesthetic merges with the layers of history and a stripped-back design works in favour with the buildings ornate ceiling roses and embellished wall strips. In a minimalist approach, the flooring throughout consists of whitewashed parquetry timber and the painted walls feature a creamy, dove grey tone. 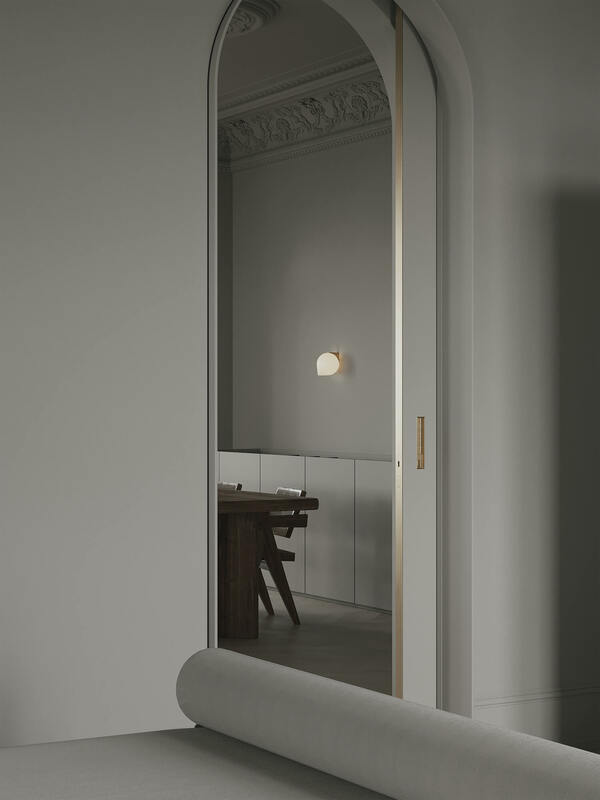 Providing connection and flow, this beige hue carries through to the ultra-minimalist kitchen and bathroom with the only additions being palatial stone and metallic fittings. 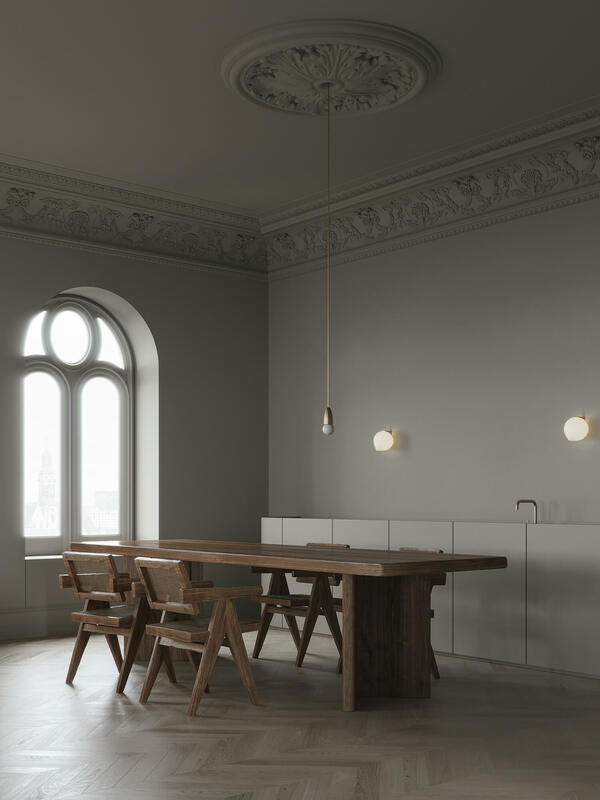 It’s a pared-back palette that could have tipped the space over to an austere setting, yet balanced by the heritage character of the home it strikes a fine balance instead. Luxurious accents of brushed brass draw your eye to the details like the clever sliding door inserts, concealed door handles, lighting fixtures, and kitchen and bathroom tapware. 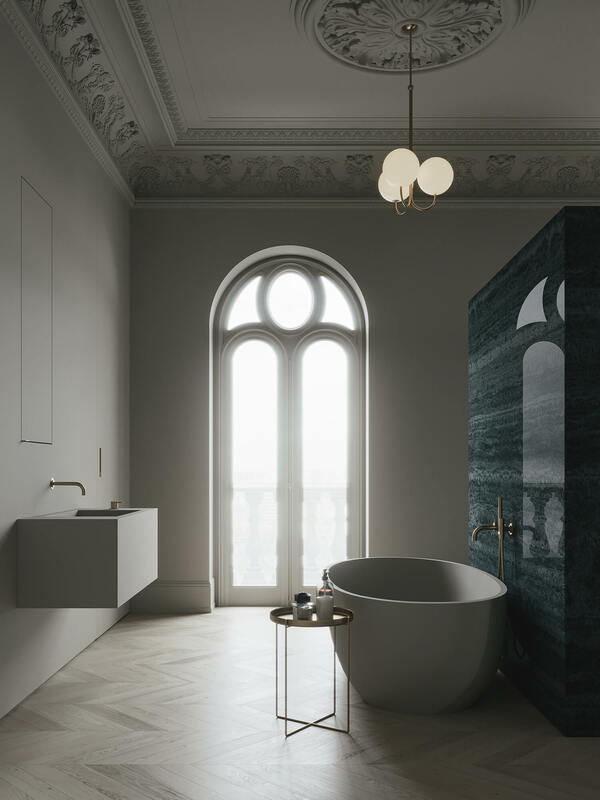 Providing the perfect serene surroundings for a long soak in the bathtub, a hefty stone backdrop anchors the cavernous bathroom and bedroom space all the while adding an opulent green colour and a refined texture to an otherwise unadorned space. 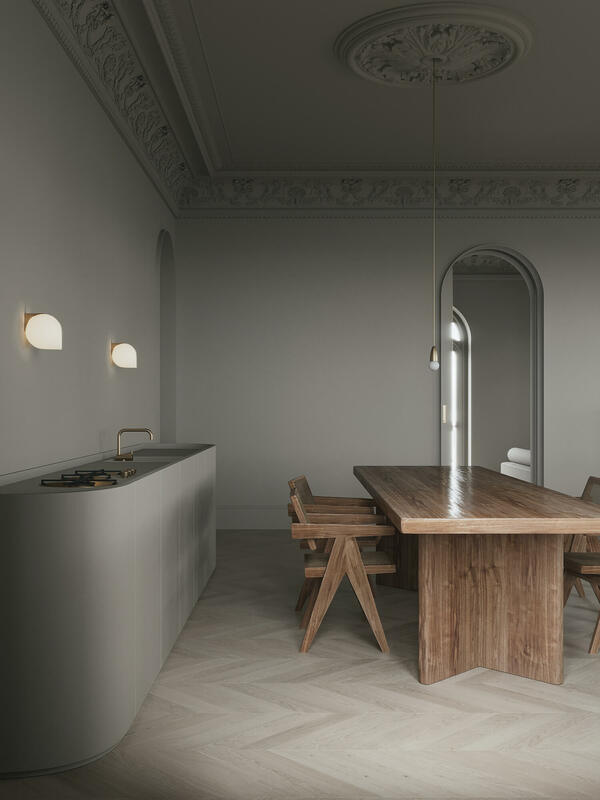 An unexpected palette of velvety beige, brushed brass, various timber tones and deep veined green stone build depth and drama. 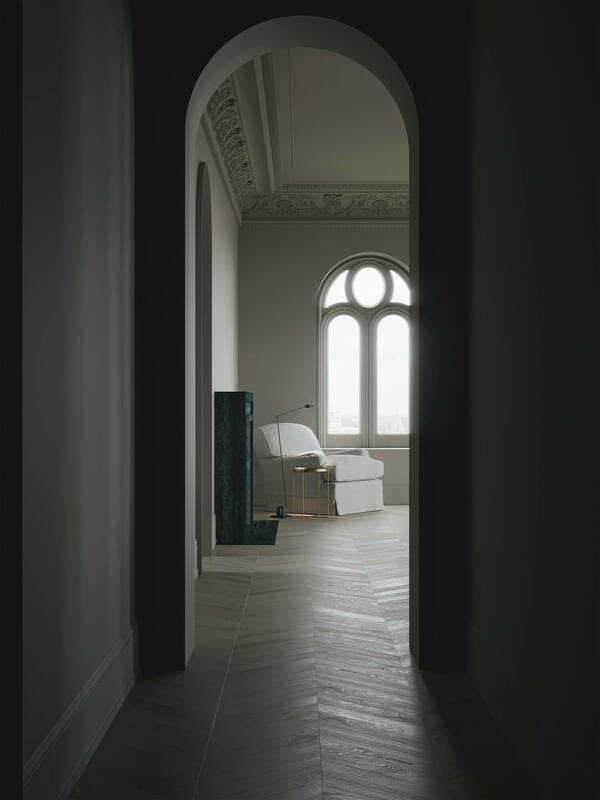 Yet another sculptural highlight can be found in the generously curved lines of the window frames and doorways. Not only do they create an interesting play on light, build a beautiful geometrical composition and give way to the vistas outside- they work to maintain an air of simplicity and openness. 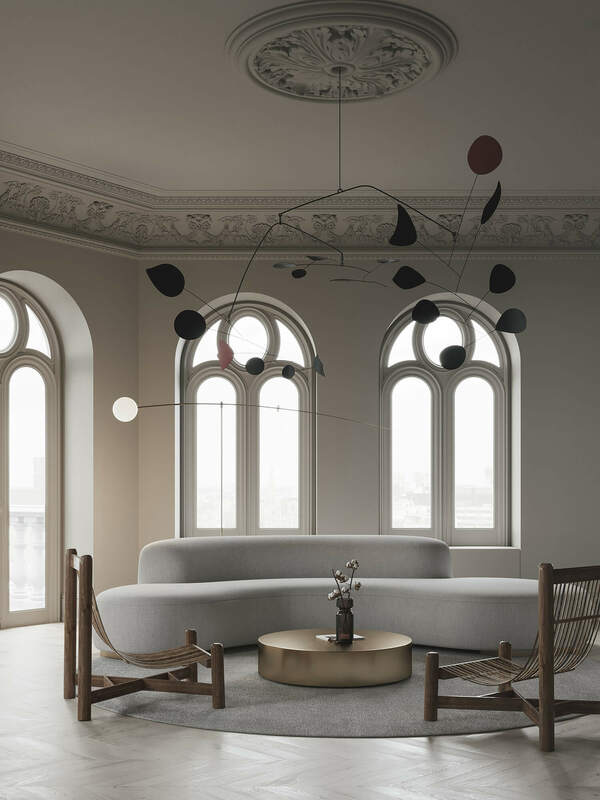 The carefully edited selection of sculpted furniture and ornamentation also works to the same simple tune. 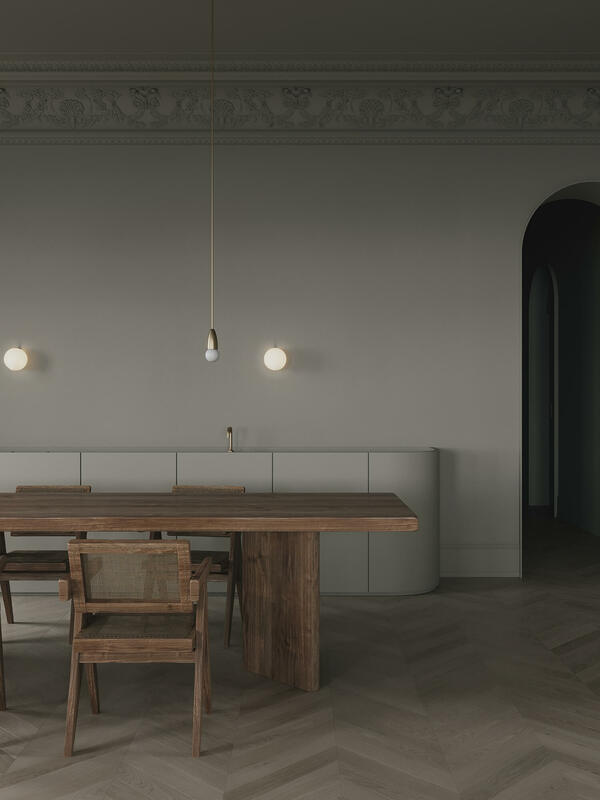 Covetable pieces range from a Vladimir Kagan sofa and Pierre Jeanneret chairs to Michael Anastassiades’ Bob sconces and Angle pendant lights. If we had to sum up this home in two simple words, we would say that it’s flawlessly balanced. 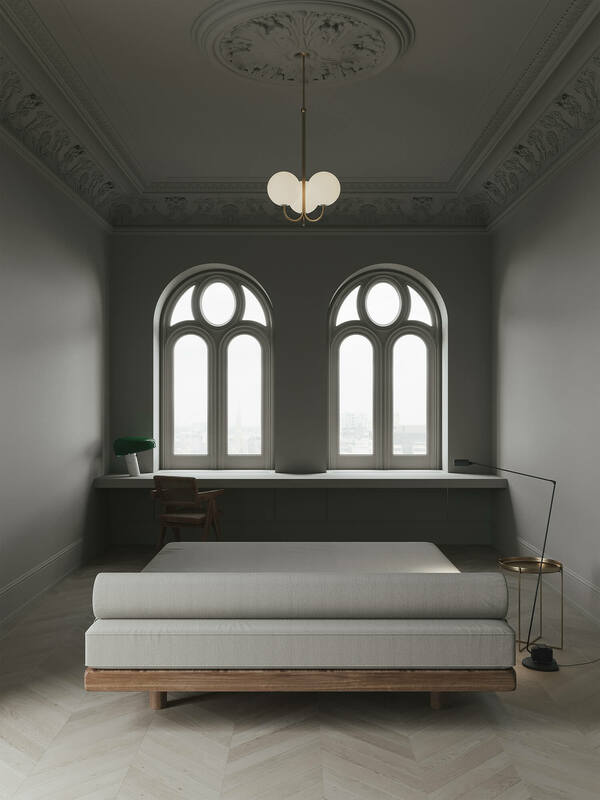 It seems clear that the philosophy here has been to strip back the unnecessary and to focus on embracing both the serene flow space and the beauty of the building itself. After all, there is something to be said about finding beauty in balance.